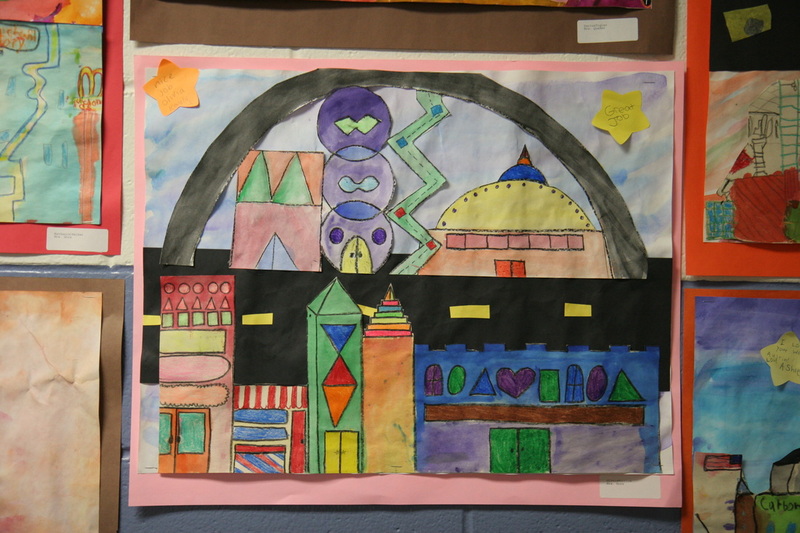 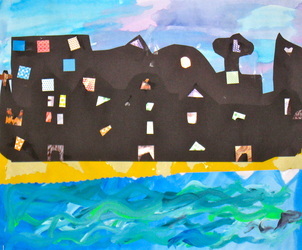 Fourth graders were developed these imaginative cityscape scenes using collage, painting, and mixed media techniques. 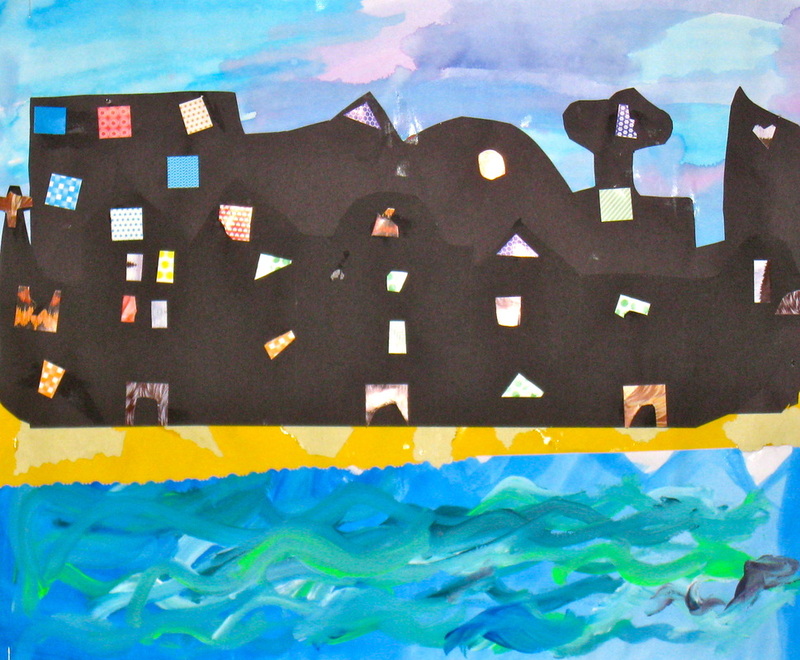 They began by studying a variety of city skyline photographs and critiquing the varying architectural top lines that connect and combine. 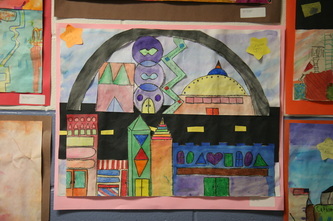 Tall, short, angular, domed, thin, wide, and every shape in between, the children detected and recreated them all. The students quickly understood the importance of creating and cutting their skyline from black paper in one strand. 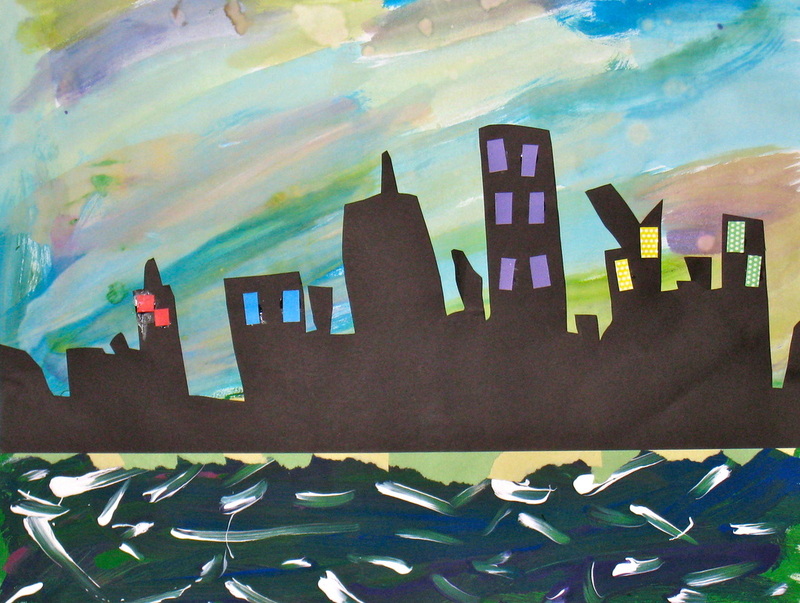 Once complete the backgrounds were painted using both tempera and watercolors. 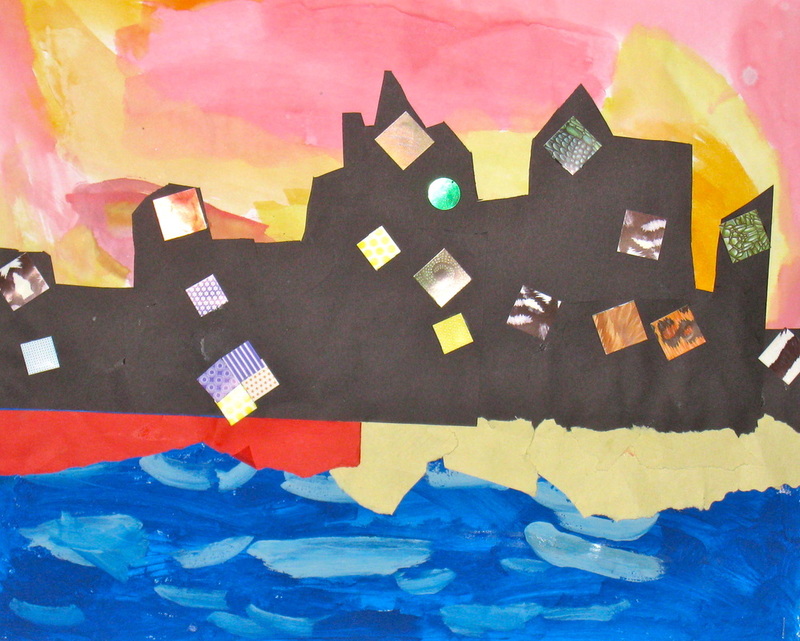 Afterwards, students explored mosaic squares to add window patterns, and well as other materials to add texture and depth to their scenes, bringing them to life.